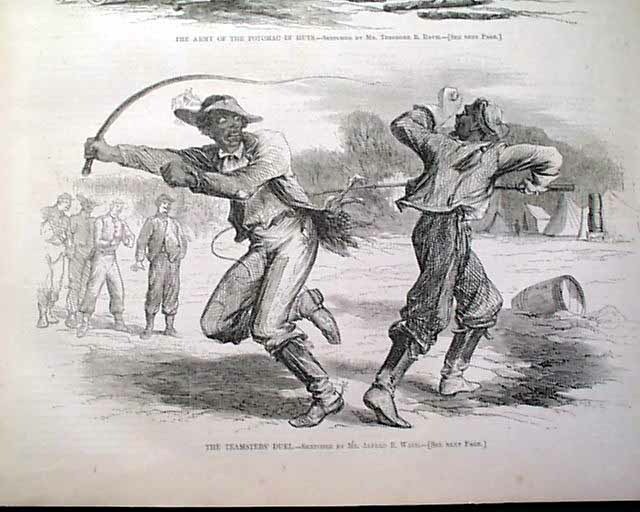 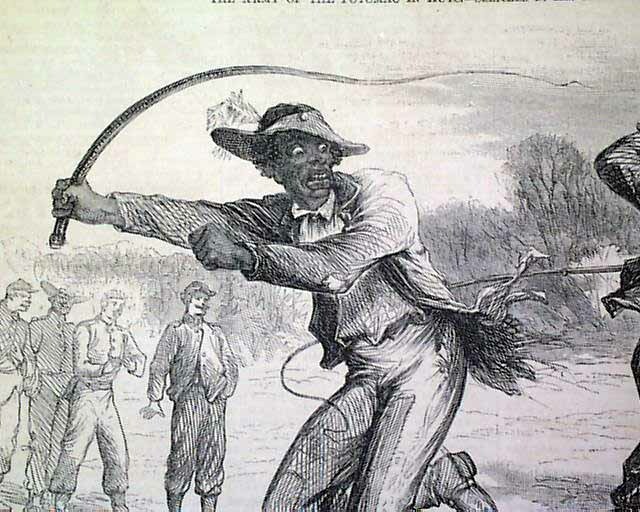 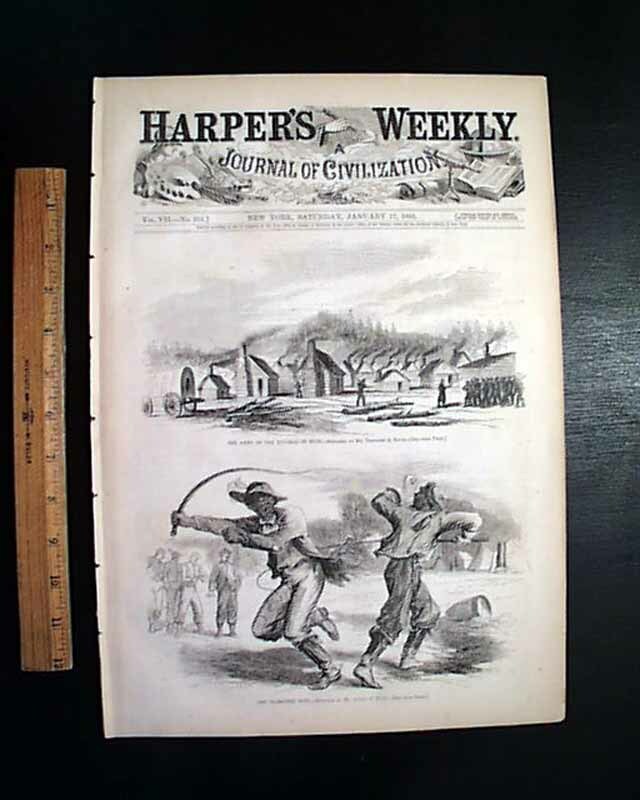 Half of the front page: "The Teamsters' Duel" showing two Black men with horse whips. 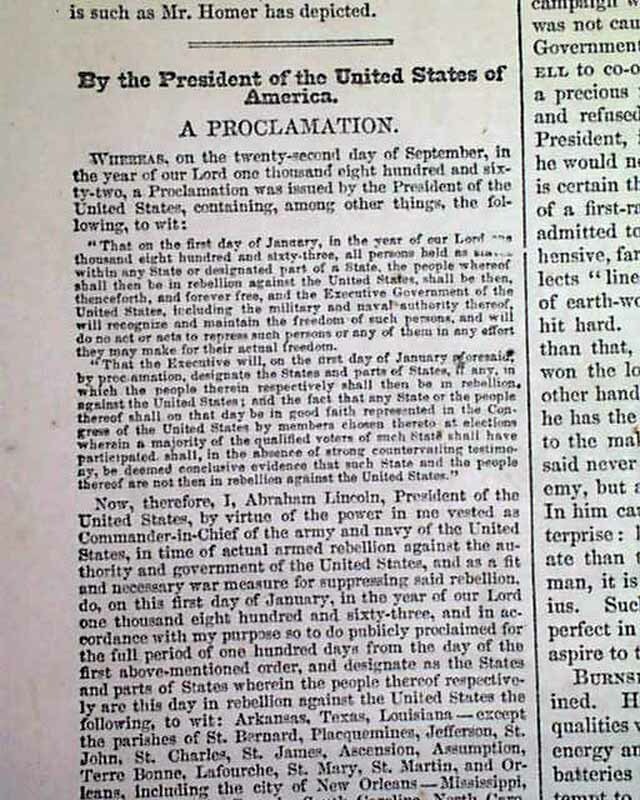 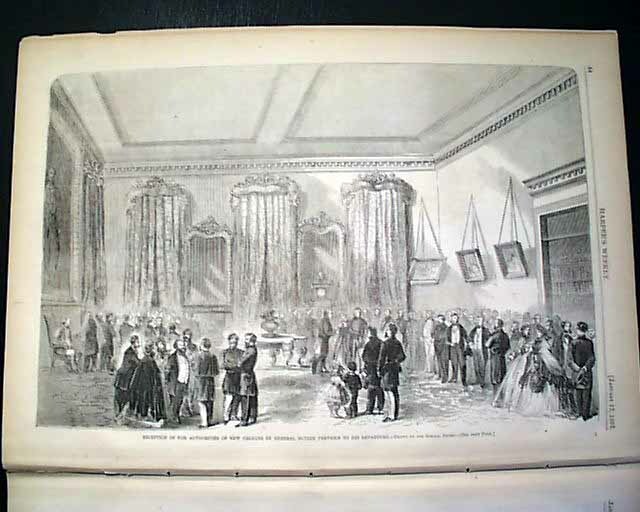 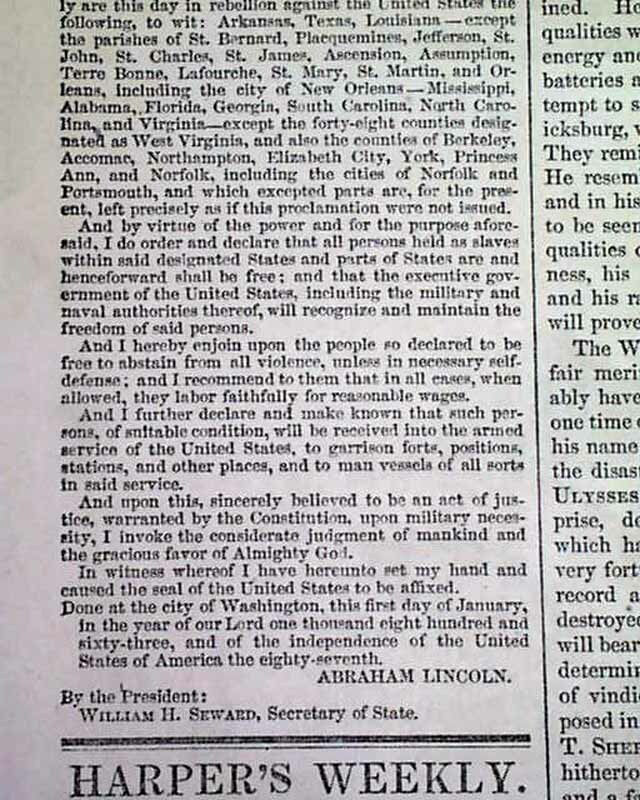 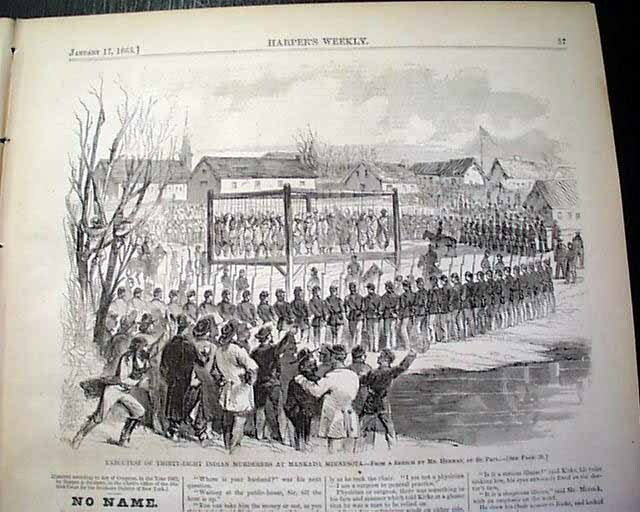 The other half of the front page shows: "The Army of the Potomac in Hunts". 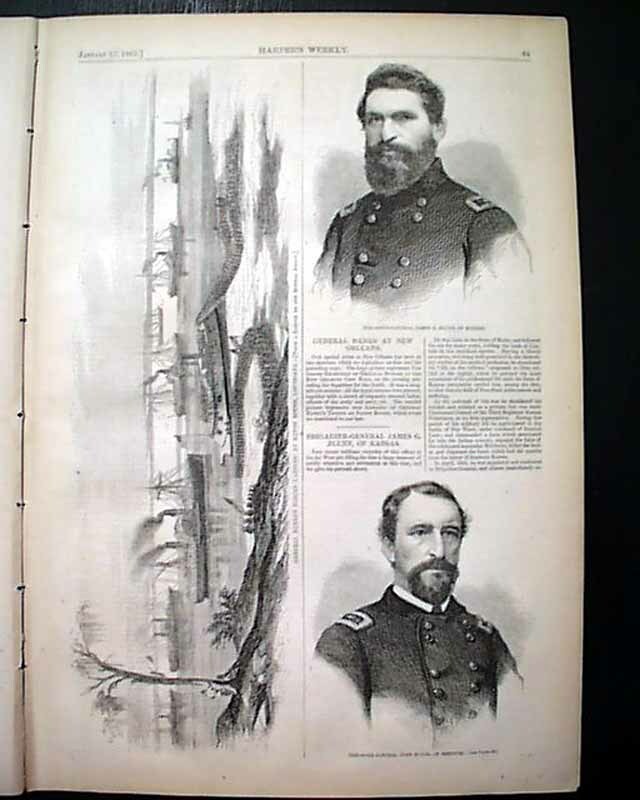 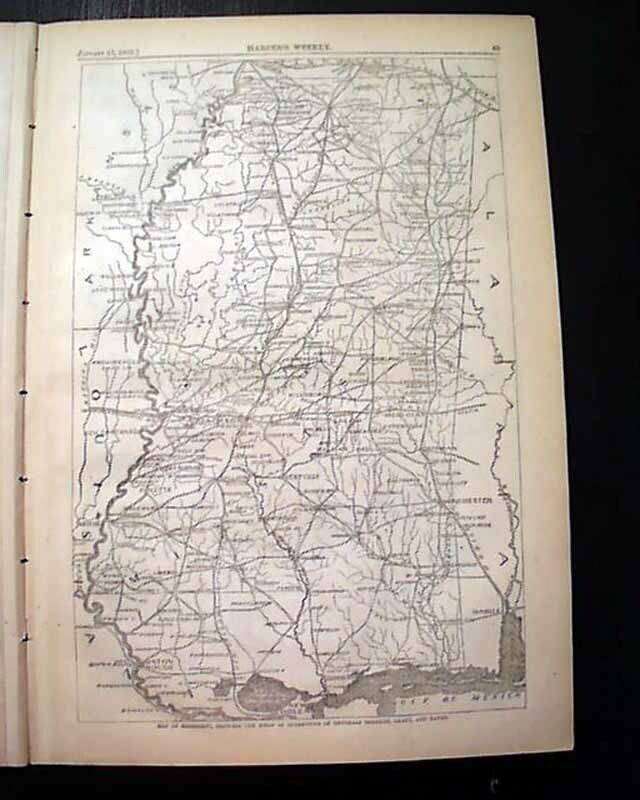 Battle of Prairie Grove, Arkansas" "Map of the Battle of Murfreesboro, Tennessee" & "Map of Vicksburg, Miss., Showing the Field of Operations of General Sherman". 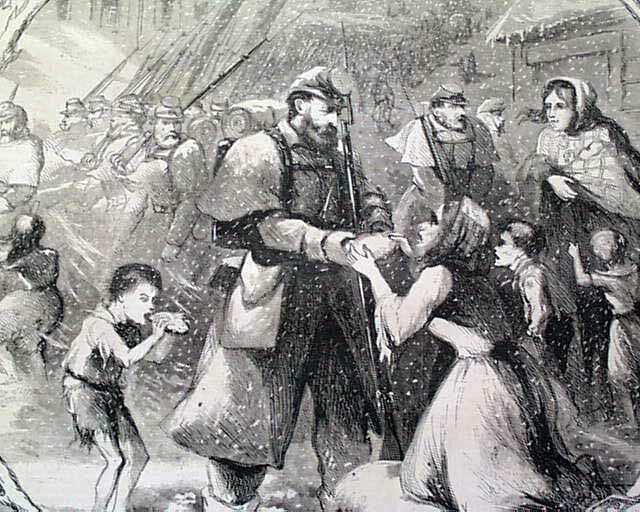 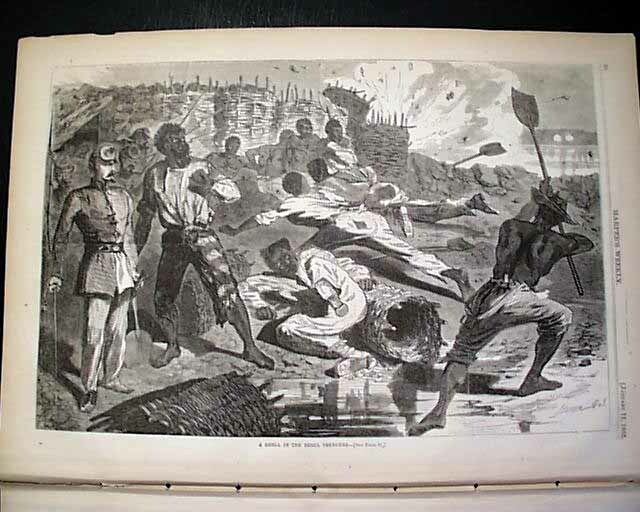 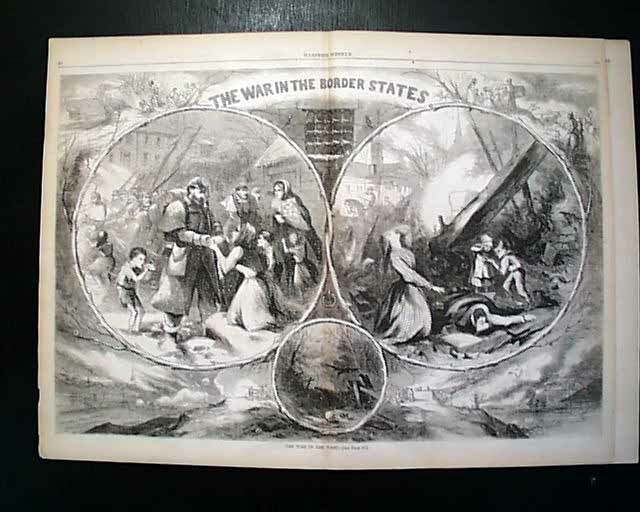 The doublepage centerfold is by noted artist Thomas Nast, titled: "The War In The Border States" and captioned: "The War In The West". 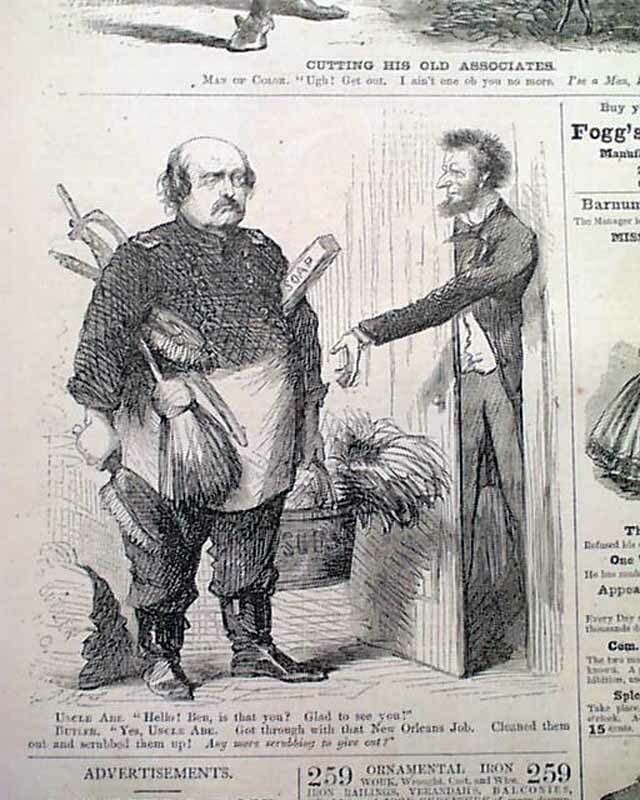 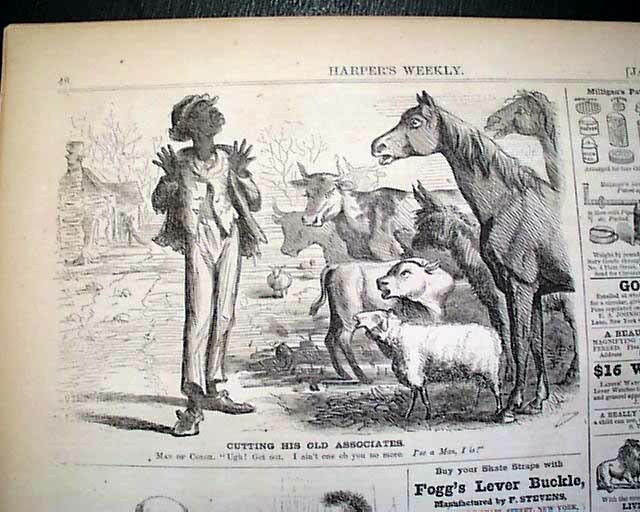 The back page features two political cartoons, one featuring Abraham Lincoln. 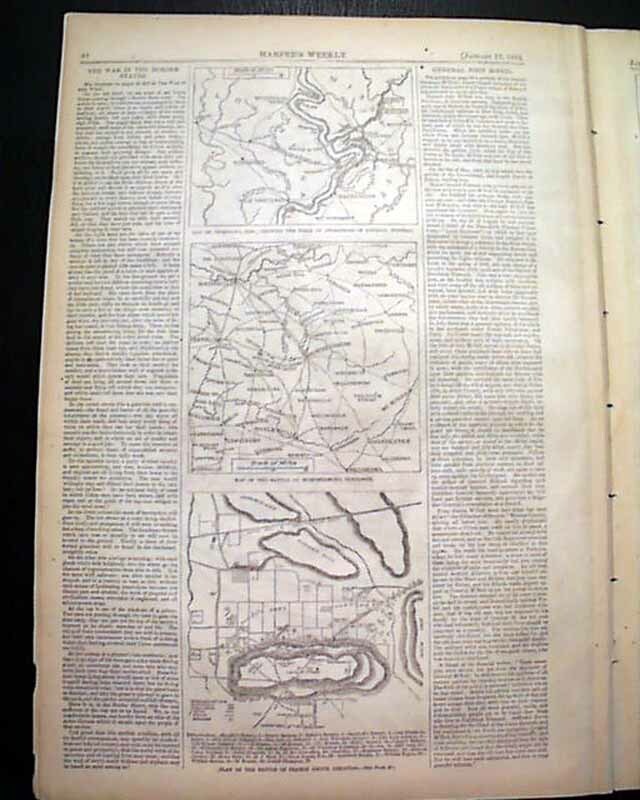 Complete in 16 pages, nice condition.